Zephyr Cove Resort is located on the south east side of Lake Tahoe in the small mountain town of Zephyr Cove Nevada right off of highway 50. The resort is nestled in a tall pine tree forest just a stones throw from the sandy beaches and crystal clear blue water of Lake Tahoe. The historic Zephyr Cove Lodge was built in the early 1900’s and is a must see when visiting. There are a couple of lodging rooms to stay in at the lodge, but most guest stay in the cabins that are spread out around the property. 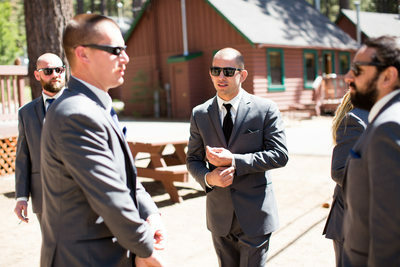 The cabins are a great location for brides and grooms and even guest to stay in during a wedding celebration. You’ll be able to get ready with in walking distance of the wedding ceremony and reception site. This is a huge plus during the summer months when the traffic and crowds get crazy in South Lake Tahoe. It’s always nice to have everything in one spot and not have to think about all the logistics of going to and from. 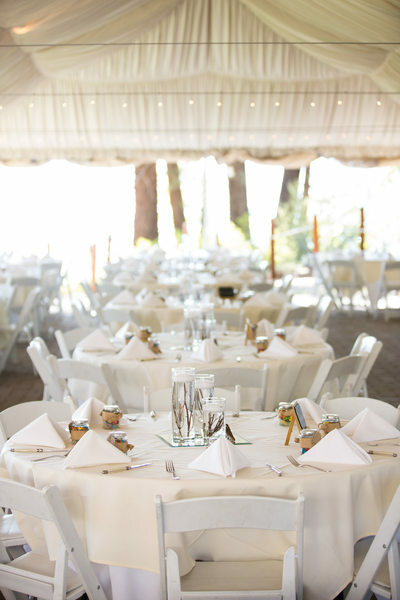 Zephyr Cove Resort is one of the prime wedding locations in all of the Tahoe basin because it’s one of the very few venues that are located right on the waters edge. All of the wedding ceremonies take place on the sandy beach about twenty feet from the water. 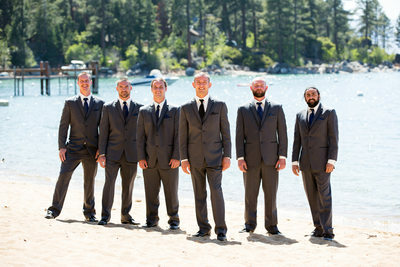 With all of Lake Tahoe as your backdrop during the ceremony you can not beat this beach wedding ceremony location. 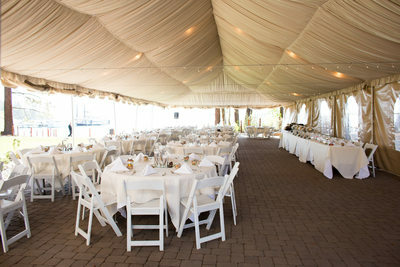 It’s no wonder that Zephyr Cove host ton’s of weddings and events each year. Their operating wedding and event season is from May to October. Right behind the ceremony site is a huge grass lawn that is located in the middle of tall pine tree stand and this is where the receptions take place at. The resort has a giant reception tent that can be opened up on three sides to let you take in all of the surrounding nature while you eat and drink the night away. Next to the tent and lawn is the open air dance floor for everyone to let loose and dance it up when the music starts. 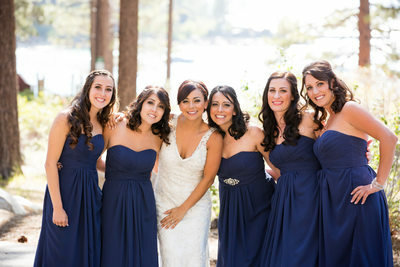 Zephyr Cove is truly a wedding dream location with views of the Tahoe everywhere you go. You can just sit for hours on the beach and watch the waves crash as the sunsets behind the mountains. With that in mind your wedding photos will be the envy of all your friends. The sunsets are just amazing and it’s a must for every couple to take time out of their wedding day to take pictures during this magic time. There are many photo opportunities all around the resort. From the wooded pine forest, aspen tree grove and a huge mountain meadow it’s almost impossible to hit every location. The crown jewel of the venue is the sandy beach that leads to the Lake Tahoe post card photos of the giant granite boulders submerged under water just off shore. If you’re looking for a beach wedding location in Tahoe you must check out Zephyr Cove Resort as a possibility for your big day.